Every yard needs a focus point. How about an accent wall to emphasize your space, There is nothing better than a stone wall to attract every one’s eyes, create the appearance of textured to your decor and complete the beauty of nature.At New Age Global Builders you can achieve your goal, we are specialize in all types of stones and bricks, the walls are carefully lay up built to last by our experts. Indoors or outdoors a sophisticated way to make your home design beautiful.We are here to guide you to throughout the process; call now to make an appointment. Like our many satisfied clients from Queens to Brooklyn and all of NYC, you will be amazed by the results. Accurate work guaranteed. Whenever you are looking for that perfect color match on you home with nature and you don’t seem to find it, its provably not a color, but a brick or stone wall, it gives your home that touch of nature that goes so well with your patio and home design, try our brick and stone services and we will guide you through the process and evaluate if its a good fit for you, Call now and find out! 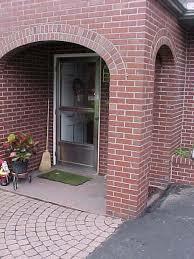 We are experts in Brick pointing and customer all over Brooklyn and NYC are raving about our work. Our services include home / residential as well as office buildouts, office space renovations, and office building contractors. We are licensed and insured NYC commercial contractors, NYC retail contractors, and NYC hotel contractors.